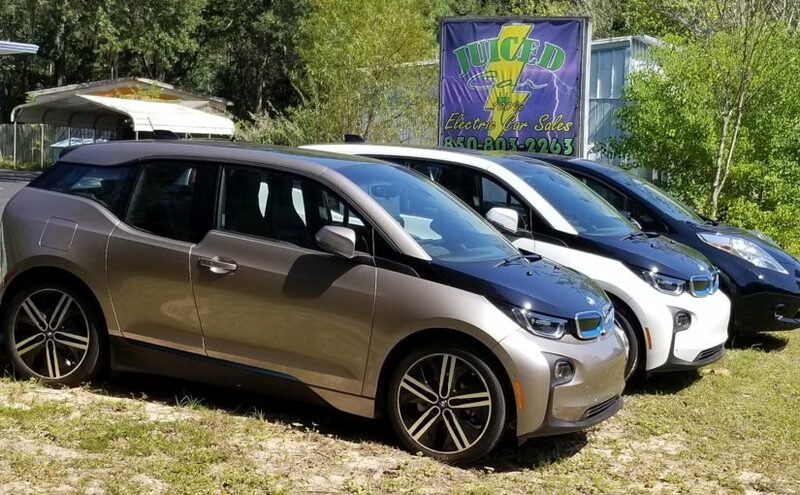 JuicedCar is bringing the EV Revolution to Northwest Florida! Join the electric car rEVolution. These cars are fun to drive and you never stop at a gas station. You can use the 4 charging stations at the Destin Commons, the 4 charging stations at the Destin Whole Foods or the charging station at Seaside all for FREE! Download Plugshare to locate charging stations in your area. As always JuicedCar can get any EV you may be looking for in any color with just the options for you at the best possible price! Contact us today for details! Drive Electric Earth Day is coming up in April. Please go ahead and register to attend or volunteer. Click the links below for an EVent near you! Check out our inventory of 100% electric vehicles. All are still covered by factory warranty. We try to keep a full selection of cars that includes the worlds best selling EV, the Nissan LEAF. We also have the BMW i3 and try to keep at least 1 Tesla in stock. Call to schedule your test drive today. If you can’t come out to the dealership, we will bring the car to you.